McGregor is that quaint country getaway that, even after a few hours, makes the bustle of city living seem light years away. It’s only a 2 hour drive from Cape Town (just around the corner from Robertson) so it’s the perfect distance for a weekend away. And the tranquil, beautiful surroundings mean that you’re well rewarded even if you only have a couple of nights to spend in the town. McGregor also makes the perfect base for exploring the surrounding winelands – where small producers and well-established, large wine farms provide a good mix of new experiences and old favourites. 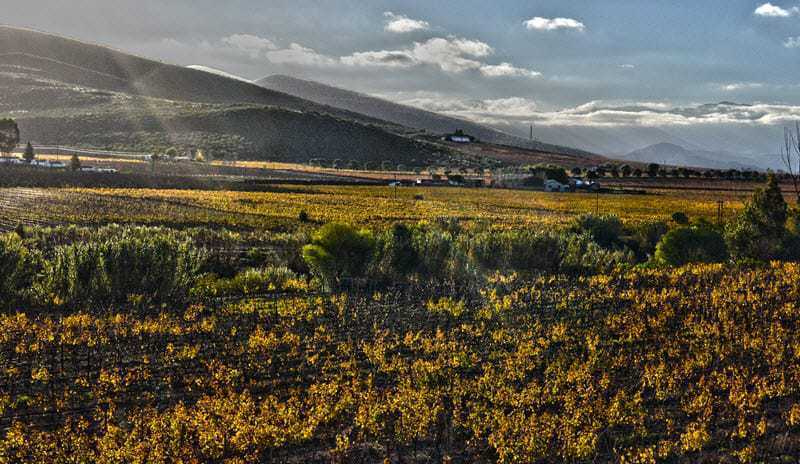 We love this wine region, with old favourites like Springfield and De Wetshof, but this time we visited a couple of new places and we’ll definitely be back for more. 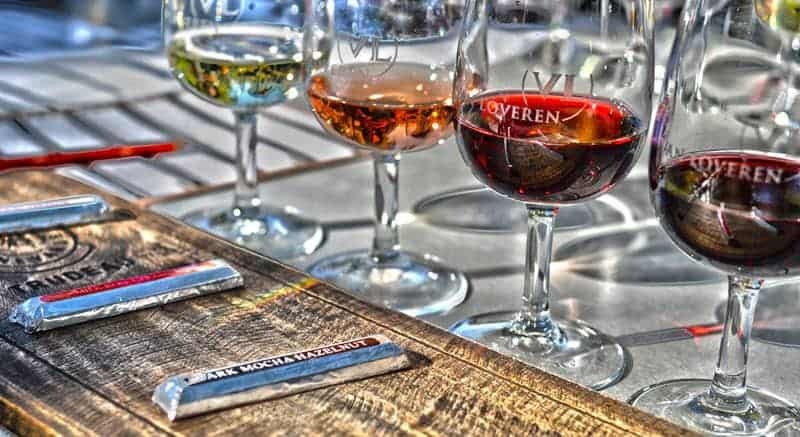 At Van Loveren there is something for everyone – even me in my pregnant, non-drinking state… They offer over 10 different pairings to cater for all tastes. I had the non-alcoholic tasting, and watched enviously as the rest of our group devoured their cheese and wine and chocolate and wine pairings. This was a find! 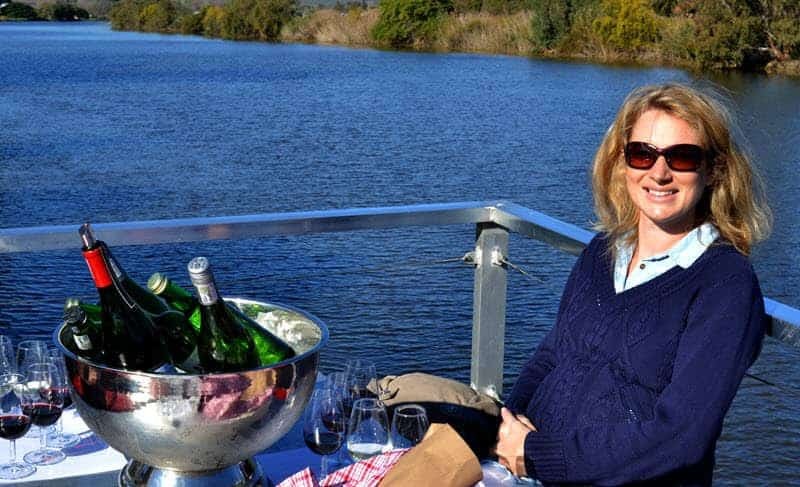 Viljoensdrift offer wine tastings and river cruises that pair perfectly with the picnic that you can put together from their deli before you board. Not surprisingly, these cruises are often fully booked – they make for a fun family outing, or a relaxed afternoon with friends. Here they take their wines very seriously, and very light-heartedly. I love this juxtaposition of approach. 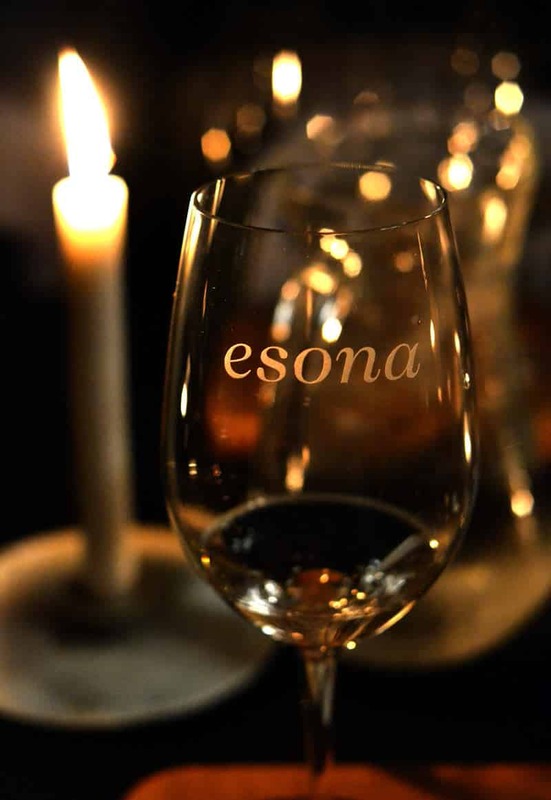 We started Esona’s veranda with stunning views of the vineyards and nearby mountains, tasting their fun loving Pinot Noir Blanc de Noir “Frankly My Dear” (I love the bottle) and then moved downstairs to their cellar tasting room. This was a serious affair, a vertical tasting, in Riedel glasses, paired with music! Affordable, high quality, accessible wines is how I would summarise Rooiberg wines. 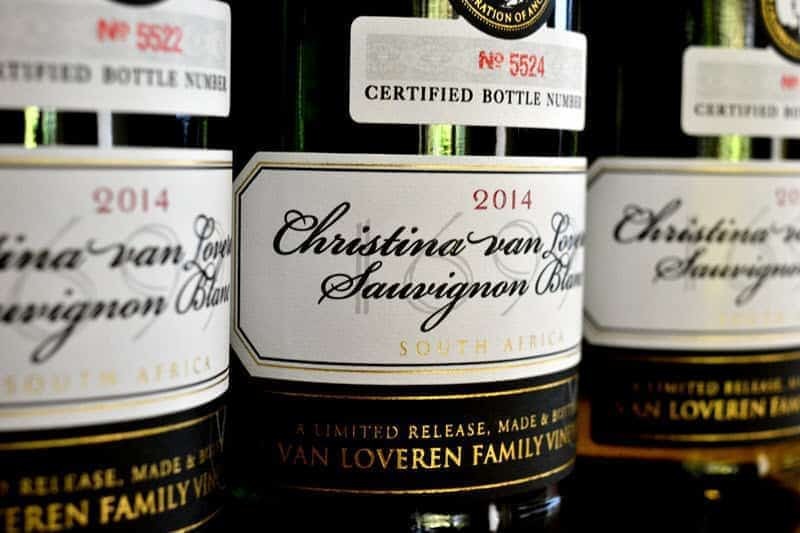 As suppliers of some of the wine ranges for Woolworths, Rooiberg is committed to maintaining their reputation for good quality wines. Luckily for us, they do it at a good price too – so on the way home we stocked up with 6 boxes of mixed reds and whites. They’ve also got a great little bakery on site with freshly baked breads and pastries – so it wasn’t a complete surprise when I walked out with 3 different breads and a selection of croissants. 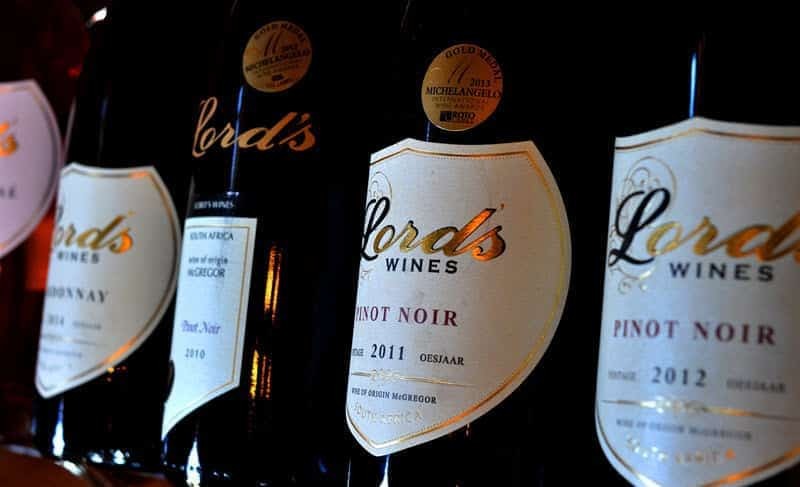 Set up in the hills just outside McGregor, Lord’s Wines was one of my favourite stops – surrounded by quiet fields and home to some stunning wines, I will definitely be back here next time I’m in the area. Owned by a German couple that visited the region and decided to stay, Tanagra is an example of well-oiled German efficiency. 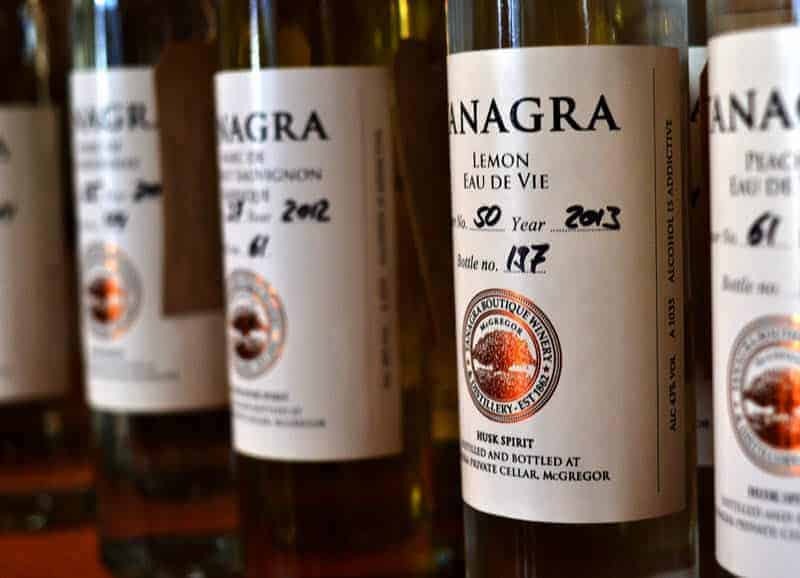 From their small-scale distillery making excellent Grappa to their boutique wine offering interesting wines including a Blanc de Noir made from 100% Cab Franc. I’ll definitely be back to sample some of the wine farms that we didn’t manage to get to – Springfield wines is top of the list! MGregor richly rewards any time that you have to spend there. This weekend was made possible by many of the wonderful business owners in and around McGregor. We were hosted by the lovely Mira Weiner, owner of McGregor Country Getaways. When you’re booking your weekend to this lovely town I suggest getting in touch with her – she knows everything there is to know about this lovely place and can suggest the perfect outings, restaurants and accommodation for your stay. * All photos and opinions are my own.